Guwahati, Aug 26 : Karnataka DGP Lalrokhuma Pachau, who hails from Mizoram, said his NE origin should be used as a morale booster for those from the region who had left Bangalore in the wake of panic triggered by SMS threats. "I am from the northeast which should be the biggest moral booster for those who left Bangalore to come back to the city and resume their work and studies," said Pachau, who accompanied Karnataka deputy chief minister R Ashoka here on Saturday. Ashoka and Pachau met some of the Assamese youths who left Bangalore to instill confidence and appeal them to return to the cyber city. Pachau told the youths that even during the height of exodus, no NE native was attacked or harmed apart from some threats issued by rumour-mongers and SMSs. "The Karnataka government promptly swept into action, patrolling in sensitive areas was heightened and sufficient security forces were deployed in places were people of NE reside," said Pachau . To ensure a sense of safety among NE youths, the DGP said he would be available to solve any of their grievances at his office and residence. "I appeal to you (NE natives) to return to Bangalore. If you face any problem, come to my office or residence," he said. The DGP felt that there is a need for various NE organisations in Karnataka to be in touch with government agencies. He added frequent interactions and exchanges of information between the government agencies and NE bodies will help the administration to ensure more security. Hope Karnataka DGP serves to the best for the SAFETY of his people of the NE India and the Zo people in particular. 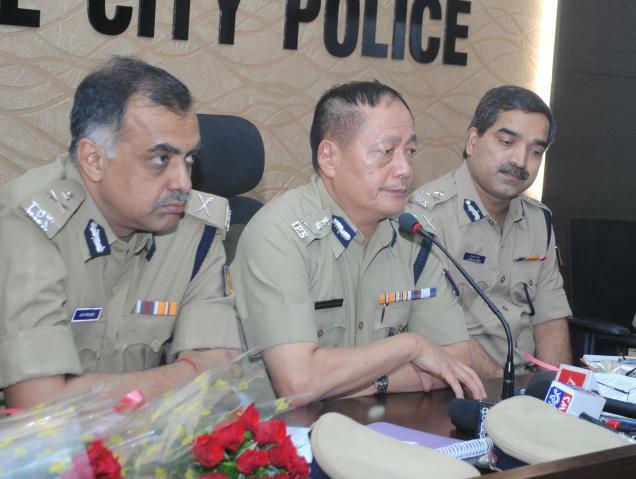 Thanx for being a Mizo to be a DGP in Karnataka.